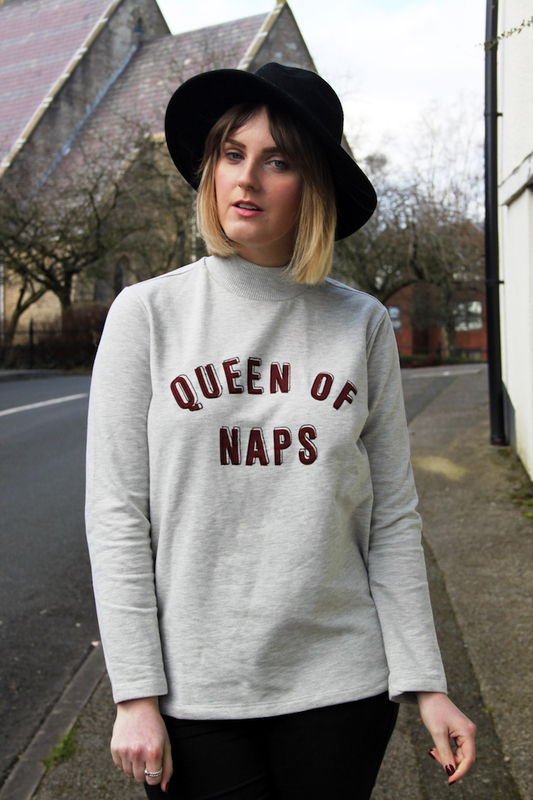 Some of you may remember back to my Christmas Wish List post where I mentioned this ‘Queen Of Naps’ sweatshirt from Asos. Well, it sold out like hot cakes and Santa couldn’t get hold of one for me. Then a few days back I was casually scrolling through the many pages of my Asos saved items list (Every day. No joke) and spotted it was back in stock again in my size! I squealed and made a lot of noise about it, but before I could even decide whether I could afford to buy it for myself, it had gone out of stock. Fast forward to Valentine’s Day and there it was, all wrapped up, just for me. Turns out Dan had swooped in and bought the last one for me before I even had chance to! True love! 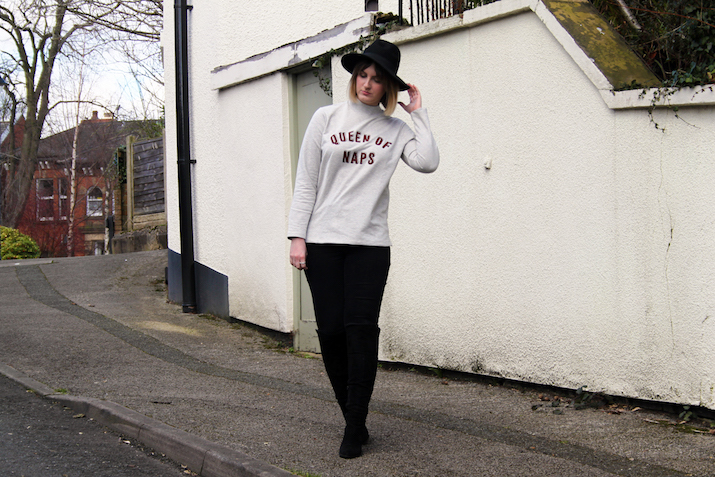 I love the high neck and the classic fit of this sweatshirt, and wore it with some simple black skinnies and knee high boots to let it do the talking! 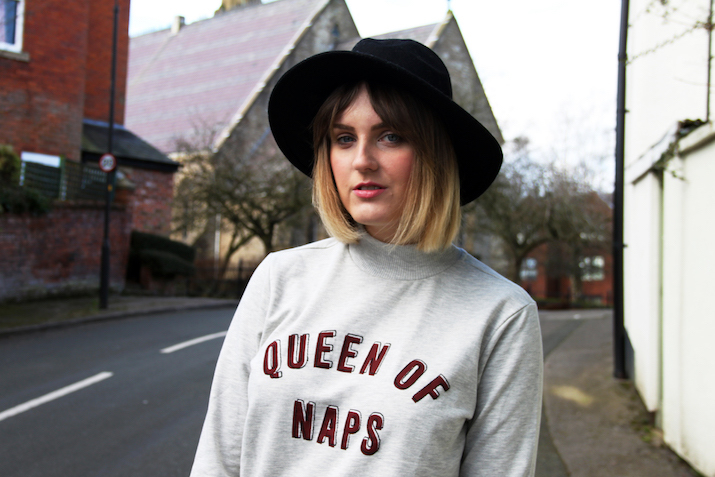 It’s definitely a fitting top for me to own as I can literally nap for hours at the weekend and often wake up angry with myself for sleeping so long. I just can’t help it! 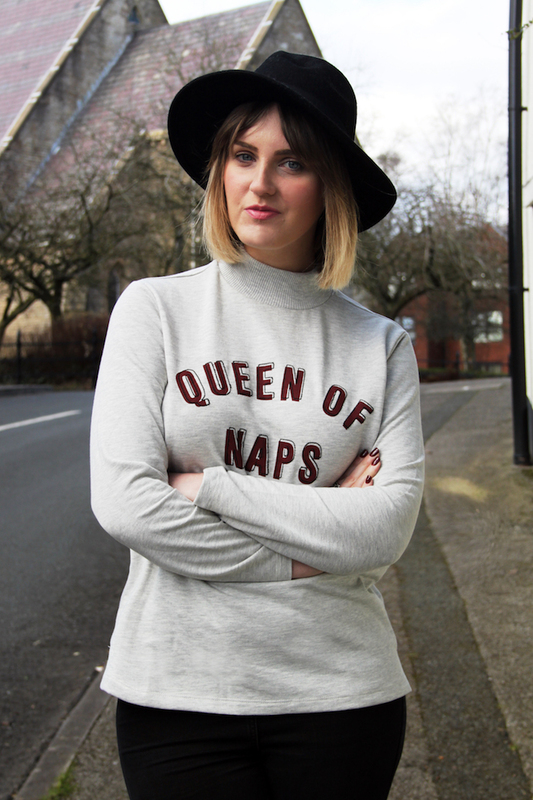 I can’t wait to wear this cosy sweatshirt again; next time I’m going to style it a little differently with this red suede skirt as it matches the print perfectly! 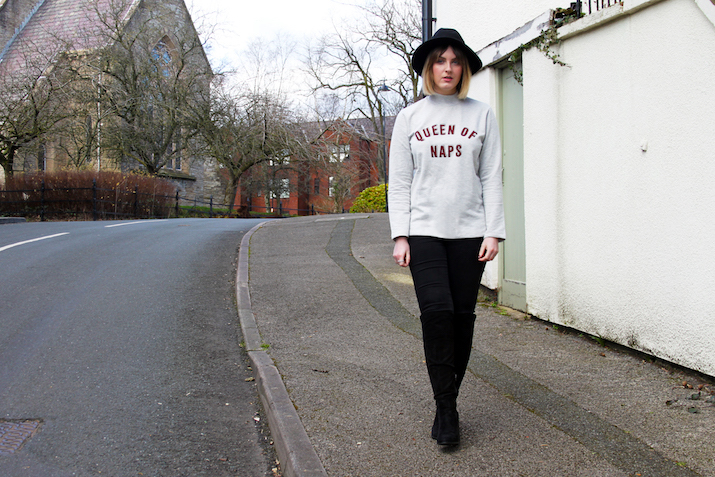 It’s found it’s way firmly in to my lazy day wardrobe already and will look perfect with everything from pretty skirts to Converse and ripped jeans. So happy he managed to get hold of one for me! How do you style sweatshirts like this? 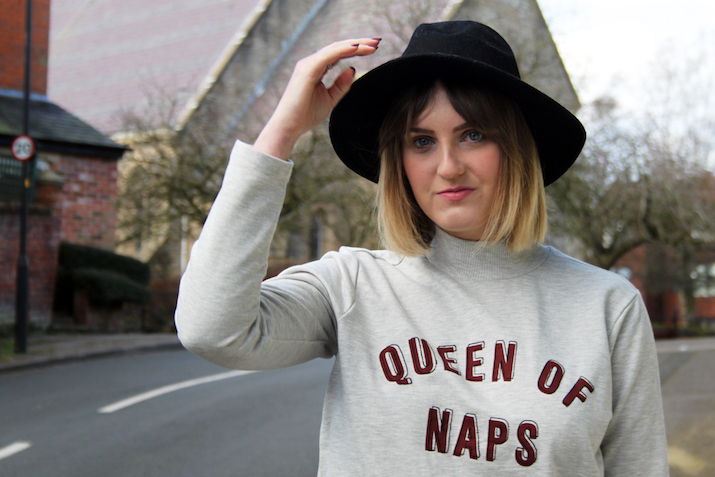 What’s in your Asos wish list? Thanks Holl! I love it so much!